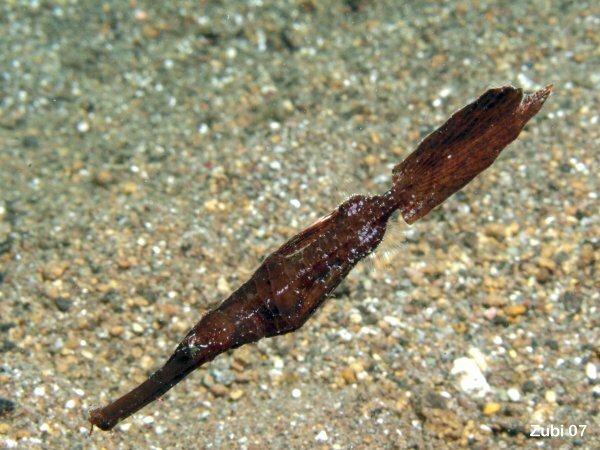 They look like a dead leaf of seaweed, they float in the swell and are thus nearly invisible. Mostly found in pairs. 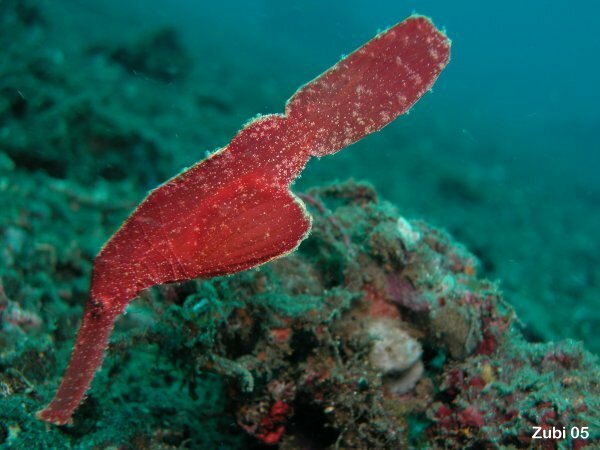 Diese Geisterpfeifenfische schauen aus wie verwelkte Blätter. Oft in Paaren anzufinden. 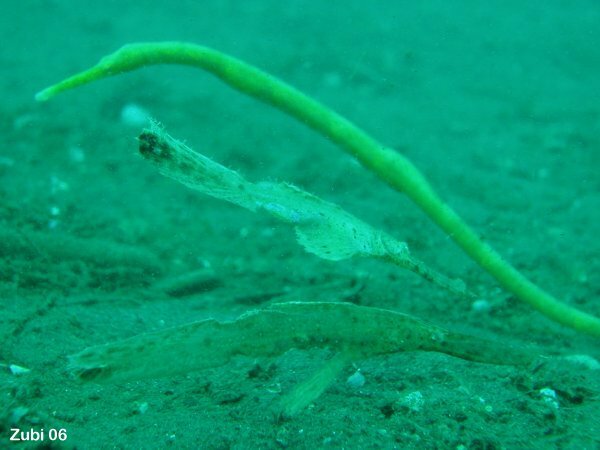 On the upper two photos you can see like that ghostpipefishes like to hide among weeds or seagrass - only here it is actually a Double-ended Pipefish (Trachyrhamphus bicoarctatus), which was alos near by. 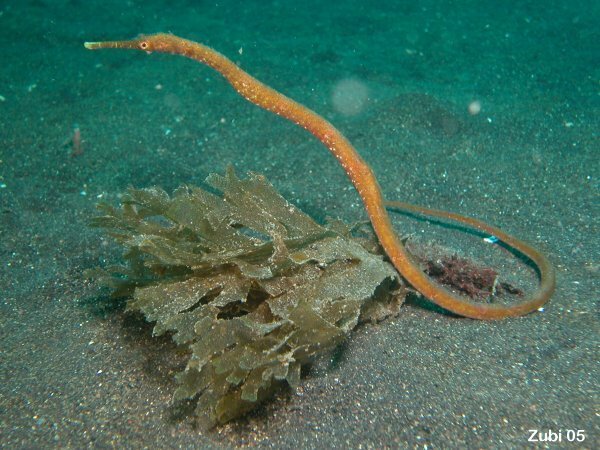 The confusion is understandable, since this pipefish really looks like a piece of coral or a stick (as shown below)! Auf den oberen Fotos sieht man, wie sich die Geisterpfeifenfische an Pflenzen anschmiegen - nur ist es hier nicht eine Pflanze sondern eine Schwanzlose Seenadel (Trachyrhamphus bicoarctatus), die auch in der Nähe war. Die Verwechslung ist verständlich, sieht diese Seenadel doch wie ein Stück Koralle oder ein Stecken aus (siehe unten)!